Watch Entourage 7x10 finale episode on HBO this Sunday! Yay, Christina Aguilera is guesting in this episode. This is the final episode of Entourage Season 7. It's called "Lose Yourself". Don't miss this episode. Read the synopsis below. Ari tries to keep his wife's surprise party on track; the guys attempt to stage an intervention for Vince; Turtle scrambles to find investors to save the tequila business. 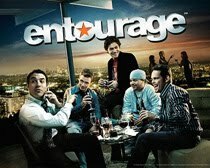 Here's the much awaited video trailer of Entourage S07e10. Glad I found this on youtube.Watch True Blood 3x12 trailer clip here. If you want to watch Entourage 7x10 megavideo streaming, torrent downloads, rapidshare download, just visit the sites aforementioned. Do ensure your anti viruses are active and browse safely.